Provided are contact details for Chilwell Driving Test Centre, test route tips, test booking information and help passing the driving test in Beeston, Nottingham. Test Centre Details: Parking is permitted on Eldon Road just outside the driving test centre. The 40 minute driving test from Chilwell Test Centre will primarily feature urban driving due to the lack of country roads within the vicinity. Expect a high level of testing on various types of roundabouts, junctions and crossroads, from quiet back-roads to busy main streets. The test typically take you onto residential streets where the examiner will request a manoeuvre, along with the possibility emergency stop which is performed on quiet roads. The emergency stop isn’t requested on each test. During the allotted test time, 20 minutes is set aside for independent driving. As the routes head away from the test centre, there’s a possibility of taking to the A52 dual carriageways. Examiners develop the test routes to include as many varied roads and traffic systems as possible. To book a practical driving test at Chilwell Driving Test Centre by telephone, see the book a driving test section. This section contains the telephone numbers required to book your test. Alternatively, you can book your test online. Online booking is beneficial as the system displays available test dates and times in real-time. See the book a driving test section for details. Cancelling or rescheduling your practical test can be done providing you allow three clear working days notice. You’ll be unable to receive a refund or reschedule your test if it’s less that the required notice. The above contact details can be used for these methods. Test centres should generally not be contacted directly other than to speak to the manager regarding a booking. For example, this could be to ask if a test is still going ahead due to bad weather. Reviews offer others an insight into your experience whether good or bad. 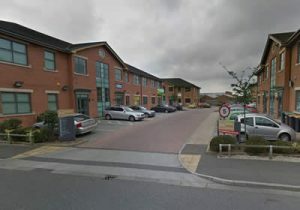 Write a Chilwell Driving Test Centre review to tell everyone what your experience was like at this test centre, whether you passed or failed your test, what the test routes were like and what your examiner was like. It’s quick and simple – no signup necessary and only your nickname will be displayed. To ensure your review meets our guidelines, please read our Terms and Conditions prior to submission.